Mothering Grace is excited to announce that we’ve partnered with local WAHM-owned business REgarding Peanut to offer you baby carriers & some great babywearing options. See them here! 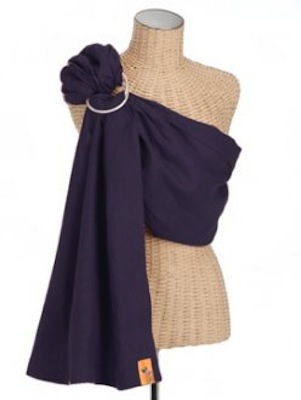 We have wrap style options, ring slings, soft structured carriers, and mei tais, and REgarding Peanut has even more on their site. Babywearing has been indispensable to us. There were many nights where I’m not sure how/if Grace would ever have fallen asleep if I wouldn’t have popped on the mei tai and started walking around the house. And that’s not even counting all the times it’s been so convenient to have her carriers for shopping, hikes, whatever. 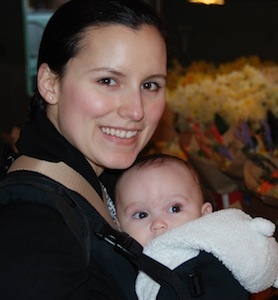 Below you can see one of Grace’s first trips to Pike Place Market in one of our carriers. And there are all sorts of health benefits for your baby. Babies love being close to mama and tend to suffer from less overstimulation, develop speech and observation earlier, and be more content. We love babywearing and hope that you’ll consider us for your next purchase!